The Missouri United School Insurance Council (MUSIC) encourages you to apply for the Dr. Darrell “Jack” Holley/MUSIC Scholarships. The funding of the scholarships is provided by proceeds from the golf tournament and corporate donations. Dr. Darrell “Jack” Holley was MUSIC’s first Executive Director. As a school business official with the Mehlville School District and president of MOASBO, he worked with the Arthur J Gallagher Company and others to create the MUSIC Program in 1985. Jack served as the Executive Director for twelve years developing/enhancing coverages, expanding services and growing the program to include close to 400 school districts, community colleges and educational associations before retiring. We are all very proud of Dr. Holley and honored to provide these scholarships in his name. You can still see Jack at the MUSIC-MOASBO Golf Tournament held each May, playing and telling stories of how it all started. MUSIC members are designated into three enrollment size categories: small, medium and large. Six scholarships (two in each category) of $2,000.00 each (nonrenewable) will be awarded to 2019 graduating seniors of districts that are MUSIC members. The following guidelines will govern the scholarship program. MUSIC, unless a K-8 district nominates you. 2. Only ONE application from each high school is to be submitted. 4. All applications must be (typed) printed. No handwritten applications will be considered. ACT or SAT score needs to accompany your application. administrator, counselor or teacher (submit only one (1) letter). 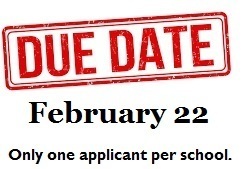 Completed applications need to be given to Mrs. Castle by February 14th. Only one application can be sent from Slater High School.